"The Magpie III expands your boundaries, no wires equals freedom to roam..."
The Peninsula Magpie III provides two outstanding barcode readers in one. 1. 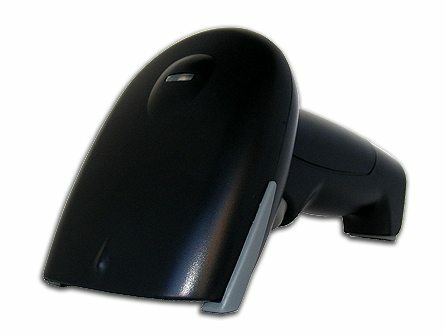 The Magpie III is a Wireless barcode scanner, feeding barcodes back to your computer with no wires at a range of up to 70m (line of sight). Simply scan and the barcode appears in your application, no software required. 2. The Magpie III is a fully featured Memory Batch scanner, with a 15,000 scan memory. This allows you to collect barcodes remotely anywhere for later download. Once you are back at base simply click the trigger to download the barcode data straight into your application, no software required. The Magpie III barcode scanner pretends it is another keyboard eliminating the need for extra boxes or software, everything is built into the scanner itself. 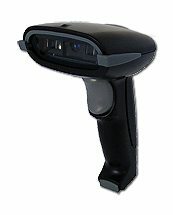 No extra power supply is required unlike most rechargeable, wireless barcode scanners. The Magpie III is easy to set up, simply plug in and start scanning, can read all common barcode types, ie EAN13, UPC, Code39, Code 128 and many others including specialist codes such as Telepen and Databar 14. Low power consumption, 1 year RTB guarantee. Works with ALL computers including PC, Macintosh, Laptops, Terminals. No adaptors are required at extra cost to use on USB or laptop computers. Fully Cross Platform Compliant Mac - PC - Linux. Robust, Quality built units, with large ergonomic trigger. Fully CE and FCC approved. As you are buying direct from the manufacturer you don't pay any middlemen and receive fully informed free support. Comes complete, usb charging cable and wireless base station are included in the box. No power supply is required. Also includes an enabler code for the QuickTrack Start, starter Item, Asset and Loan tracking software (Downloadable from our website). Works on PC Windows XP, Vista, Windows 7.